The Elephant Caves: Their easy access permits the observation of their beautiful interior. This unforgettable little adventure is a dive not to be be missed. 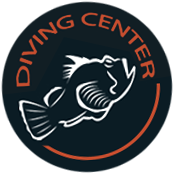 The main attraction of this dive is the cave's interior and its wildlife inside. This itinerary is striking for its varied rocky seabed, ledges and recesses, where a variety of invertebrates, sponges, cnidarians, molluscs and various species of fish can be observed. 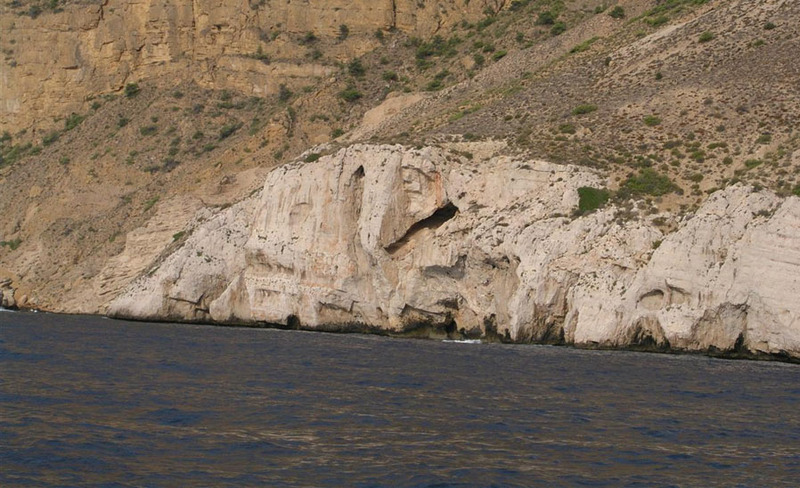 We head towards the right of the Sierra Gelada cliff, where a rock forms the characteristic face of an elephant (as in pictures below), we swim on the surface towards the wall and then descend. 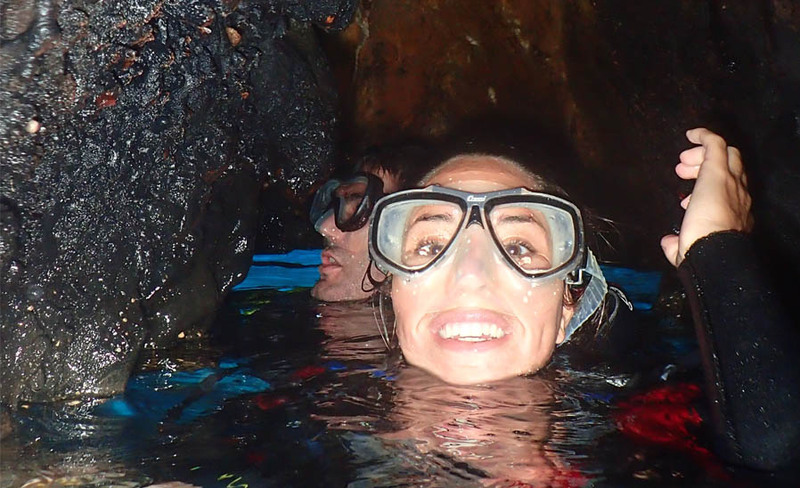 The entrance to the cave is inside a group of rocks which form a "lagoon". To locate the lagoon, we look for a rock marking the entrance in the form of a smooth surfaced tongue. Once inside, we find the entrance to the Elephant Cave and dive inside. There we'll enjoy observing species (at interpretive stop A) such as shoals of royal mullets, cardenal fish (Apogon imberbis) with their striking red colour, Bristles of worms (Polychaetes) such as the Protula intestinum, crustaceans like the Palaemon elegans rock pool shrimp and the ten-footed Decapod Stenopus. It's worth taking a moment to observe the contrast of light at the cave's exit. Once out of the cave we leave the lagoon and swim about 10 metres away from the wall at about 15 metres depth, and from here we swim over a seabed with the rocks that slightly overhang their base. Next, we come to a group of rocks where the common octopus (Octopus vulgaris) and the mediterranean moray eel usually shelter. 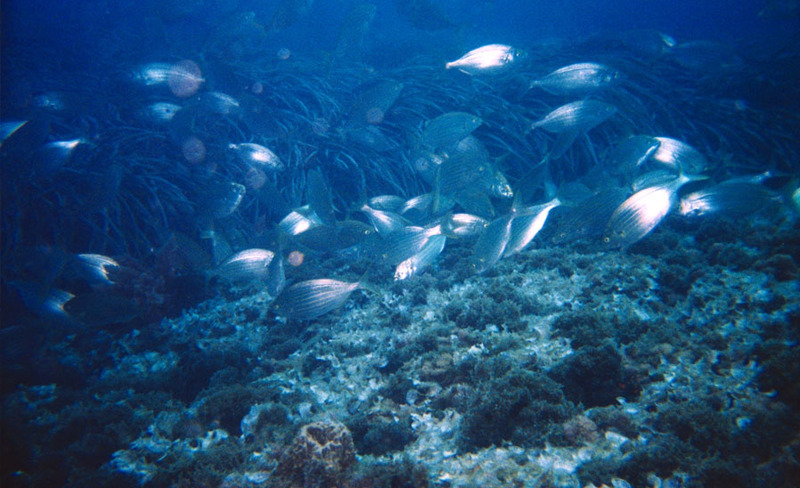 On the sandy bottom below, striped red mullet (Mulus surmuletus) that stir the sand with their barbels can be observed. Gradually approaching and then swimming along parallel to the wall, we come to a small cave with a large rock at its entrance. We swim away again from the wall over a striking seabed dotted with large rocks of diverse shapes. Here we can stop to observe (at interpretive stop B) this beautiful underwater landscape with its organisms fixed on the rocks and the fish that swim around them. Our air consumption will be approximately at half at this point, so after spotting a great high long rock, surround it and head back to our starting point, swimming back along the wall, over sandy rock dotted sea beds, until we find our anchor and ascend to our boat.